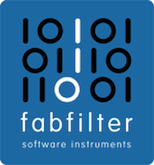 Professional audio Loudness Meters measure Program (Integrated) Loudness using an Absolute scale displayed in LUFS (or LKFS). 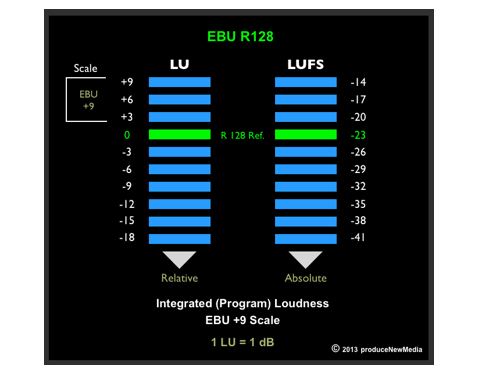 For example the EBU R128 Program Loudness target is -23.0 LUFS (Loudness Units Relative to Full Scale). 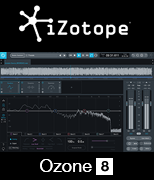 When the ITU defined new audio loudness measurement guidelines, the general consensus was that many audio engineers would prefer to mix to the familiar “0” level on a Loudness Meter for compliance targeting. A Relative scale option was implemented. It references Loudness Units (LU), where 0 LU equals the corresponding LUFS/LKFS compliance target. So for EBU R128 … 0 LU == -23.0 LUFS. 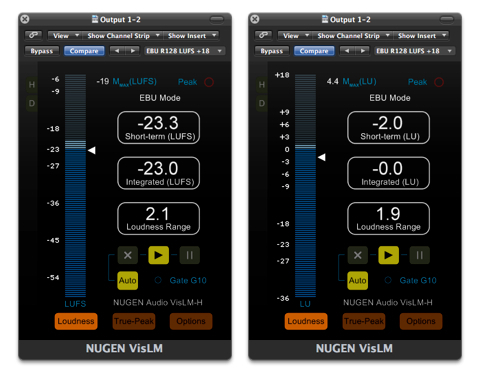 In the snapshot below you can see my Nugen VisLM Loudness Meter set to display Absolute scale (left) and Relative scale (right). Of course in most cases the scales and corresponding targets are customizable. For example I advocate -16.0 LUFS as the loudness target for audio distributed on the internet. By defining -16.0 LUFS as my Absolute scale compliance target in a meter’s setup options, 0 LU (Relative scale) would be equivalent to -16.0 LUFS.